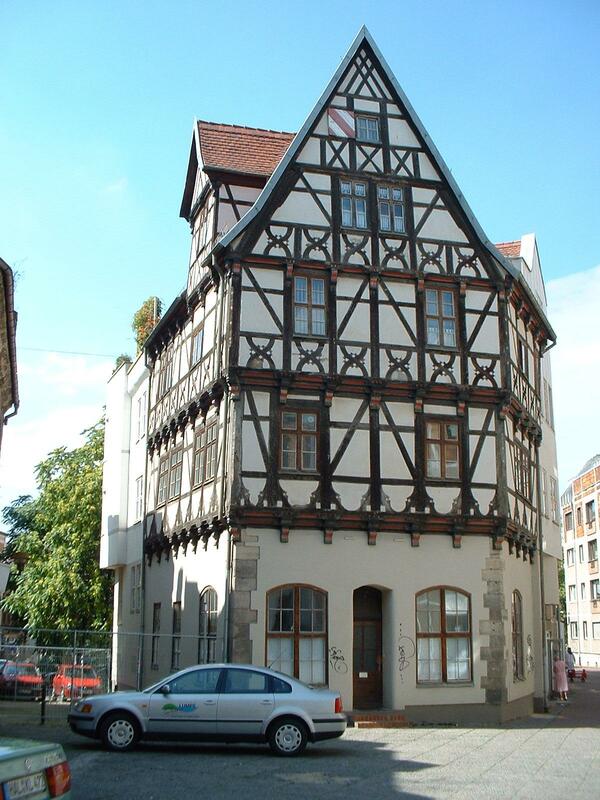 In the city you can find some half-timbered houses. This house was build in the 16th century. You can find it in the Graseweg street and there is a small saga connected to the street. In 1348 the Black Death was also hitting Halle. The citizens were divided in the healthy and already ill ones. Both groups were separated in different parts of the city and a wall was build between both parts. After 10 years the healthful people went to the other part. At this place shown on the picture only grass was growing. Therefore the street is named Graseweg.